Relaxing has never been this easy with our ergonomic portable footrest camping chair. The ultra-strong, lightweight steel construction means that it’s really easy to transport but durable enough to give you years and years of enjoyment. The low-profile design keeps you close to ground creating a comfortable, sturdy chair perfect for music festivals, campfire sitting or bringing to the beach. Whether you’re basking in the sun, gathering around the campfire, listening to your favorite band at an outdoor concert, or sitting around the pool chatting with friends, this chair provides the comfort and strength you want in this chair. Our camping chair allows you to sit low to the ground and allows you to lean back at a perfect angle to relax and stretch out your legs. It collapses and fits into the included carry bag so transporting and storing the chair is convenient and easy. Kick back and relax in your portable footrest camping chair. 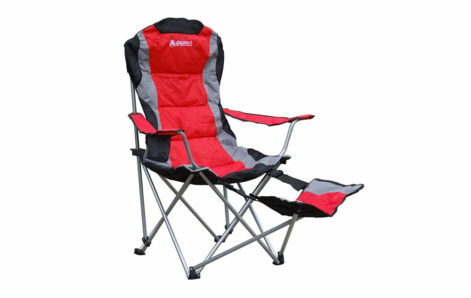 The perfect chair for camping, sporting events, tailgating, and the beach. The lightweight construction makes it even easier to transport. THE BEST OUTDOORS SEAT: Made from premium grade polyester with a rust-resistant powder-coated steel frame, this folding chair is essential to your outdoor relaxing needs! Perfect for camping, patio, picnics, beach, parks or BBQs. EASY TO CARRY FOLDABLE DESIGN: Weighing only 9 pounds, this extremely light chair can be taken on hikes or camping. When not traveling, it stores compactly without taking up noticeable space in your closet. ADJUSTABLE FOOTREST: This chair allows you to sit back, relax and throw your feet up in any position with the footrest. Easily adjust footrest in high, low, or any position in-between for ideal comfort. AWESOME FEATURES: This camping chair comes with comfortable armrests and a built-in cup holder to enjoy a cold soda or beer. The high back chair measures 41″ tall x 22″ wide with a 250lb capacity. 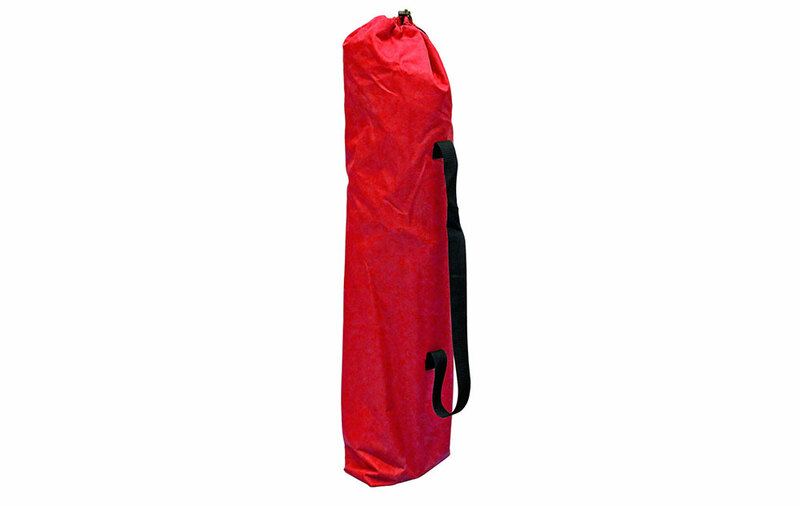 EASILY PORTABLE: Lightweight construction and heavy-duty carrying bag with a shoulder strap make it easily portable! Taking your chair anywhere has never been easier! When the sun’s out and a craving for adventure strikes, GigaTent is here to bring you everything you need to make your outdoor experience a memorable one. Our top quality foldable camping chair is here to provide the perfect outdoor seating experience you can have while enjoying the great outdoors! An outdoor getaway isn’t perfect without ideal relaxation. Whether you’re surrounding yourself in nothing but trees and grasslands, conquering the robust terrain of a mountainside, or huddling in your backyard around a campfire telling ghost stories, our chairs provide optimal and necessary utility. High-grade polyester fabric and a steel coated frame offer unmatched comfort and reliability that you won’t find anywhere else. With its unique foldable design, you can effortlessly store it anywhere for maximum convenience. Pleasant armrests for supreme relaxation and a built-in beverage holder make a necessary addition to your camping and outdoor equipment. Of course, when you’re in the thick of nature, you may be moving from one place to another quite frequently. We aim to make mobility as simple here at GigaTent. That’s why with every chair, we’ve including a carrying bag with a comfortable shoulder strap! Transporting your chair has never been easier! Get yours today to upgrade your camping gear or patio furniture and see what it means to truly enjoy the great outdoors!